A new feature to moderate group chat available. Now you can write the specific reason to the special box within pop-up menu of Chat Control. This reason will be sent to the group rule violator automatically (using direct IM from the bot). We were frequently asked by our customers to allow managers controlling their personal bots. This is finally done – the “Trusted Manager” section has been published. “Trusted Manager” is a resident who can control your bot using SmartBots HUD like you do. 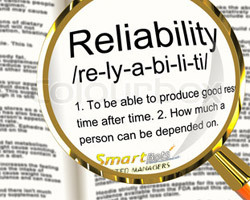 You can list as much Trusted Managers as you need – read the documentation page for details. Now you can assign the chat moderators to monitor your Second Life group chat. 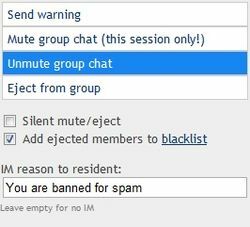 Chat moderators are able to login to SmartBots account, look after the SL group chat and eject spammers. Read more here!